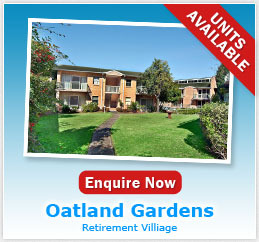 Oatland Gardens Retirement Village offers a broad range of accommodations from Serviced studio and one bedroom apartments to Independent 1 and 2 bedroom apartments all of which are Strata Title. There is a wonderful community spirit and plenty of community areas to enjoy. Residents have many choices, reading in the library or relaxing in the spa, getting more energetic in the billiard room or playing carpet bowls. We even have an outdoor bowling lane and of course, one can keep fit or laze in our heated indoor pool. We enjoy a busy social calendar with a village bus to transport us to organised events or just weekly shopping. We have a friendly caring manager on site 24 hours and can be with you at the push of a button. 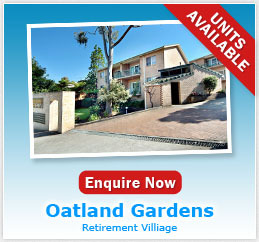 We are in close proximity to the renown Oatlands Golf Course, ideal for enthusiasts and a short distance from social clubs, theatre and concert halls. We now offer total flexibility in our ‘Lodge’ apartments, you can elect to be totally independent or let us help with our assisted living services. All meals are prepared in our own kitchens by our excellent chef plus cleaning and laundry linen service is available. 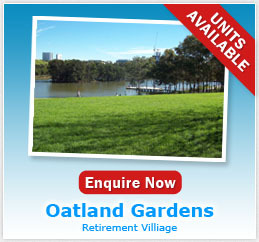 For those of you that know the area we are a short bus ride from Parramatta offering all the amenities of a small city. All of this in a magnificent tree lined street amidst multi-million dollar residences. 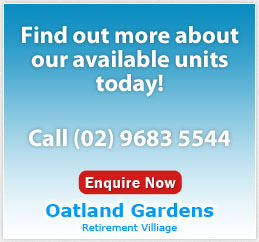 We are a happy community of 64 units and we are sure to have a unit available to suit you, check out our prices and we guarantee you would not be able to buy into this desirable residential area at a cheaper price. Chef Prepared Meals Village Bus, plus bus stop at door. Community Centre. 24 Hr. Staff.